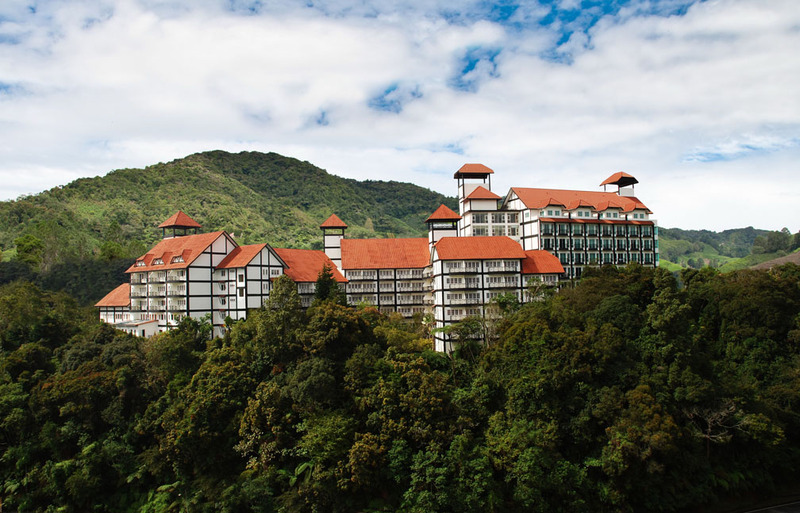 HERITAGE HOTEL CAMERON HIGHLANDS is a 238 room low rise tudor style boutique resort situated on a hill in the town of Tanah Rata. Surrounded by elegantly sculptured gardens reminiscent of the old English countryside set in a lush tropical rainforest as background, it is the perfect place to refresh, relax and rejuvenate from the concrete jungle of most cities. The hotel blends tradition with modern comfort for discerning travelers with personalized services from friendly staff. The hotel is ideally located at 1300 meters above sea levels surrounded by lush tropical forest with a birds eye view of the panoramic town of Tanah Rata. It is a 8 minutes stroll to the town of Tanah Rata. We are easily accessible via the North-South Highway (through Tapah exit),the Simpang Pulai New Road and the Gua Musang New Road. Three and a half hours drive from Kuala Lumpur or just one and a half hours drive from Ipoh city. Taxis and coaches are also available from all major cities within Malaysia to Cameron Highlands.